Following on from the previous couple of weeks Oat Milk and Almond Milk recipes , this week I'm going to show you how to make banana milk. I consider it an "emergency" non-dairy milk. It's for those occasions like when you have gone away to a friend's house for the weekend and it comes to breakfast and they only have dairy milk for your cereal which you don't want or can't tolerate due to health reasons. Instead, you can quickly whip up some banana milk and use that instead. It is, naturally, banana-y so isn't useful for other things like putting in coffee! 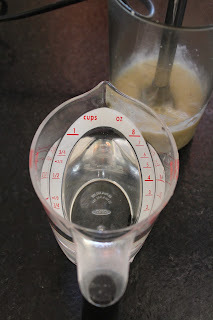 - but it is perfect for cereal. All you need is a banana, some water and an immersion blender. 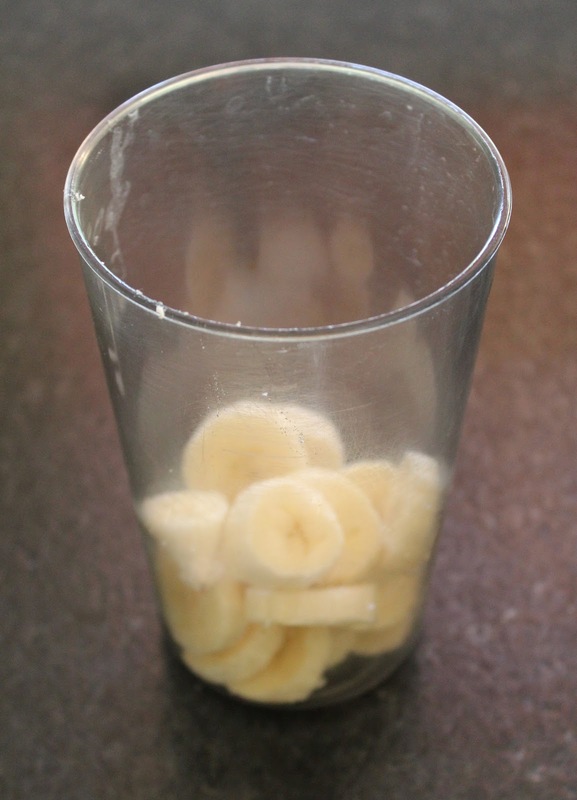 Cut up the banana and place in a jug/bowl. 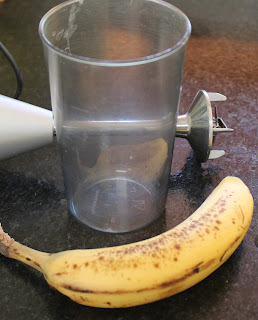 Blend the banana with the immersion blender until it is liquid. Add 1 cup of water and blend again. 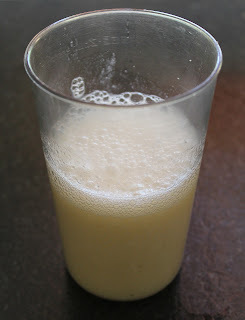 Voila - yummy banana milk for oatmeal or cereal. Use it soon after making or else it'll go brown. More non dairy milk recipes next week.